Arizona Senator Jeff Flake was confronted by a group of sexual assault survivors on September 28 after he said he would support Supreme Court nominee Brett Kavanaugh. It came one day after a contentious hearing on a sexual assault allegation against Kavanaugh. Jeff Flake, who was previously the panel’s only undecided Republican, released a statement Thursday saying: "I believe that the constitution’s provisions of fairness and due process apply here as well. I will vote to confirm Judge Kavanaugh." 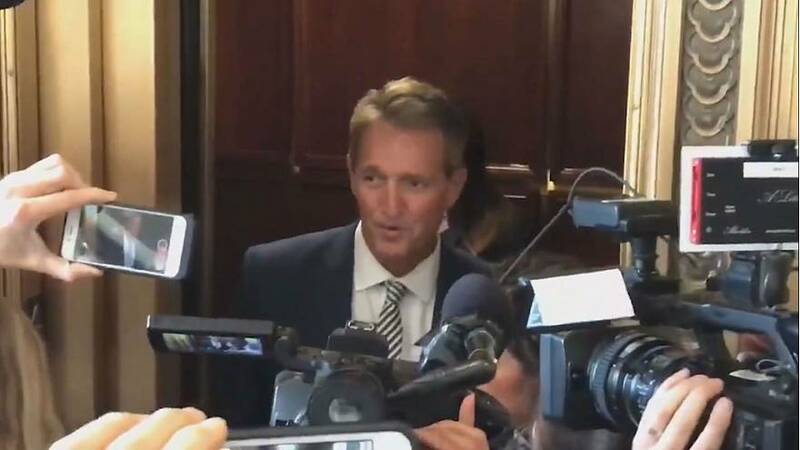 Following the release of his statement, Flake was confronted in an elevator at the Capitol. The deciding vote fell to Senator Jeff Flake on Friday and moments before he announced his decision, he requested an FBI investigation to take place and to delay the floor vote for up to one week. After Kavanaugh was approved on an 11-10 party-line vote, the Senate Judiciary Committee said it would request that the administration instruct the FBI to conduct a supplemental background investigation with respect to the nomination of Judge Brett Kavanaugh to be an Associate Justice on the Supreme Court. US President Donald Trump later ordered an FBI supplemental investigation to update Judge Kavanaugh's file. “As the Senate has requested, this update must be limited in scope and completed in less than one week,” he said via a statement on Twitter.